We love to display creativity and innovation of artists in our store and introduce their work to our community each month. 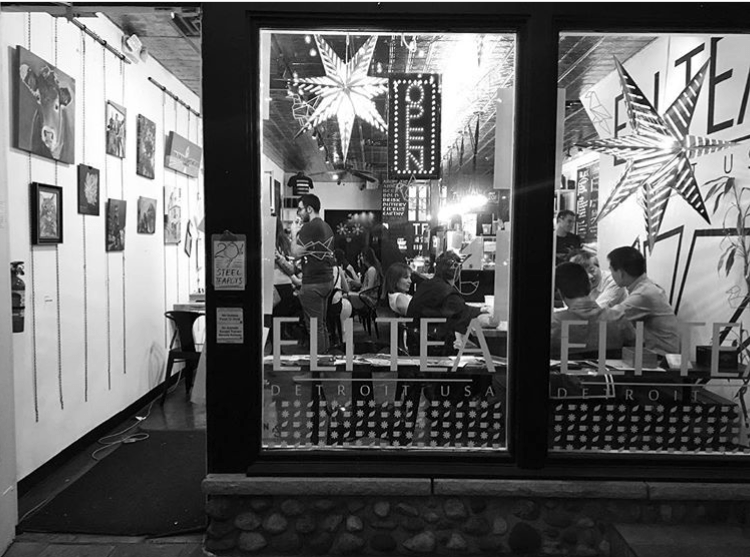 Every month at Eli Tea Bar we invite a local artists to showcase and sell their art work in store. Past artists have displayed a variety of mixed mediums such as photography, oil paints, and even locally crafted jewelry and clothing. Each artist's work is also available for sale and can be purchased in store. To apply as Artist of the Month please email your name, artist bio, phone number, social media links, images of all artwork you would like to display + their dimensions, and proposed theme of your show to art@eliteabar.com. If applying as a group, include the same information for each artist. Private gallery events can be arranged with advanced notice. We have displayed work from talented fashion and jewelry creators to hat and backpack designers. Showcase your unique designs and products. Bring instagram to life. Our artist of the month wall is waiting for your beautiful photographs. We are open to all types of photography and visuals. Visual and fine arts are a welcomed addition to the Artist of the Month wall. We are happy to sell prints and original works, as well as schedule an artist Meet & Greet.